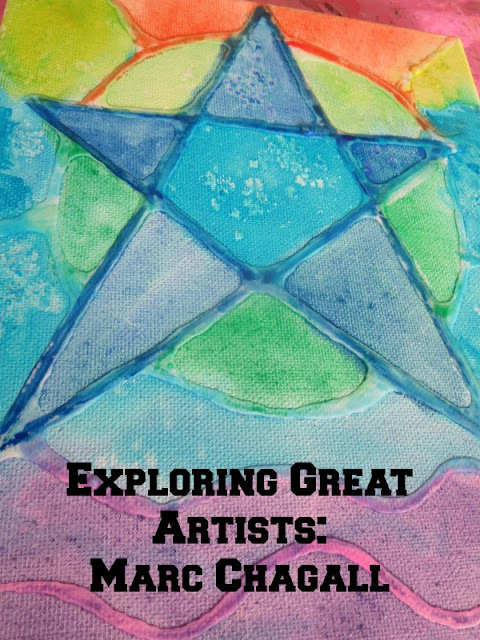 Marc Chagall is one of my favorite painters, and we revisited his work with this project inspired by his famous stained windows art. .Disclosure: I am an Amazon associate, and this post contains Amazon affiliate links. For full disclosure, please click here, and thank you for supporting my blog! When we watched winter Olympics in Sochi, they had a special Russian alphabet video clip where each letter was paired with a person or an invention originating in Russia. Russian letter Ш was for Chagall, and I wanted to jump up and cry, "No fair!". Marc Chagall was born and spent his formative years in my native country of Belarus. In fact, he was from the same town that my father's family came from - town of Vitebsk. He is probably the most famous person born in Belarus even though he eventually emigrated from the former Soviet Union and settled in France. He narrowly escaped Nazi occupation and relocated to US in 1941 returning to France in 1948. In his later years, Chagall had several large scale stained windows installations all over the world. 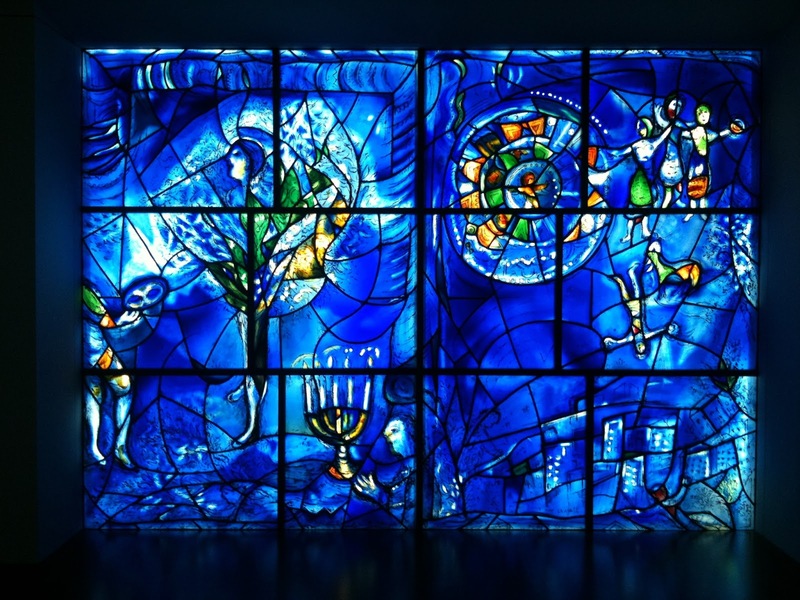 He used themes from his earlier work - flying figures, Jewish symbols, and majestic blue color. We were inspired to do our art by looking at many images of Chagall stained windows. 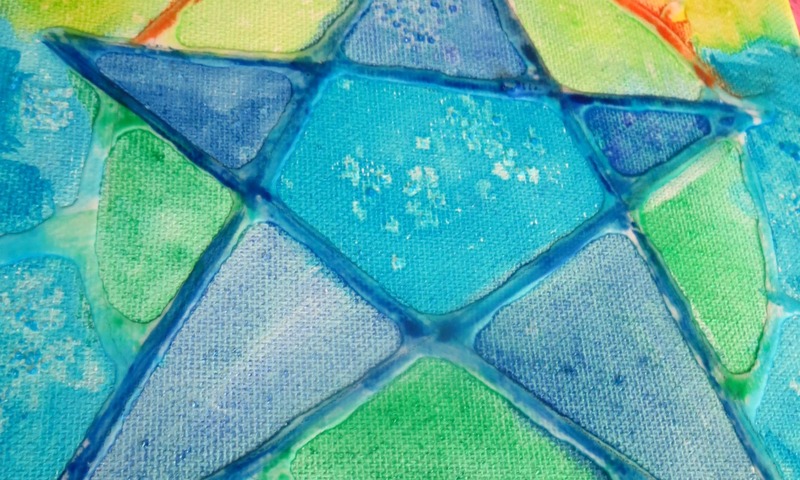 Some time ago I saw this beautiful project of water colors with glue on canvas, and I thought that glue lines could serve as "stained glass pieces" for our project. 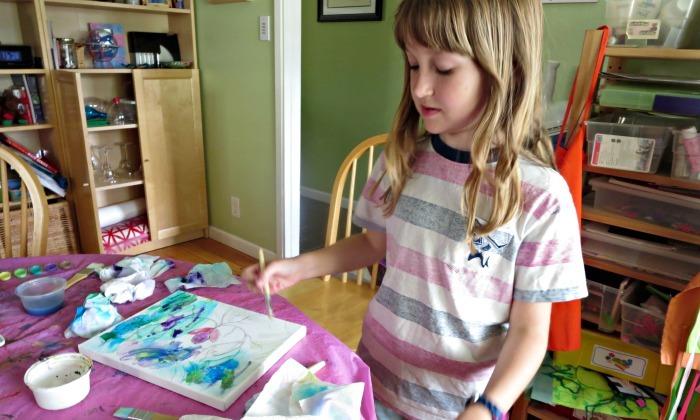 As the first step, we both sketched our designs on 8x10 canvas and went over the lines with school glue. 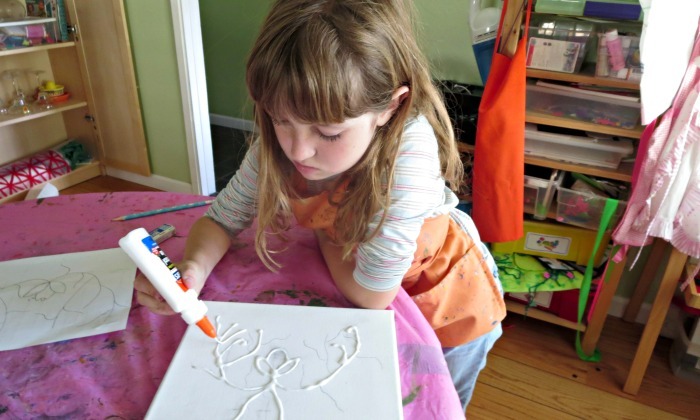 After 24 hours our glue lines dried flat, and I knew right away that we are not going to see the same effect of paint pooling around the lines as in the original project, but we still saw nice resist effect when we used Crayola watercolors trying to keep with Chagall's color palette. 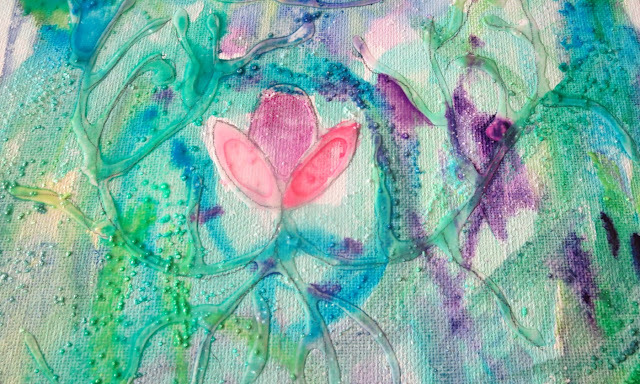 Here is an end result of Smarty's project - she went for a "Dreamy Jungle". My creation (in the pin image) is a "Rising Star". 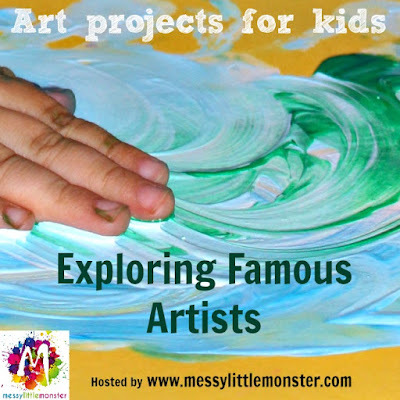 Check out other projects exploring great artists with kids at Little Messy Monster. 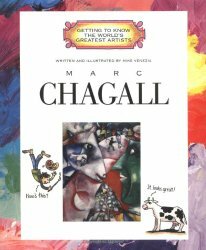 Marc Chagall was an incredible artist! 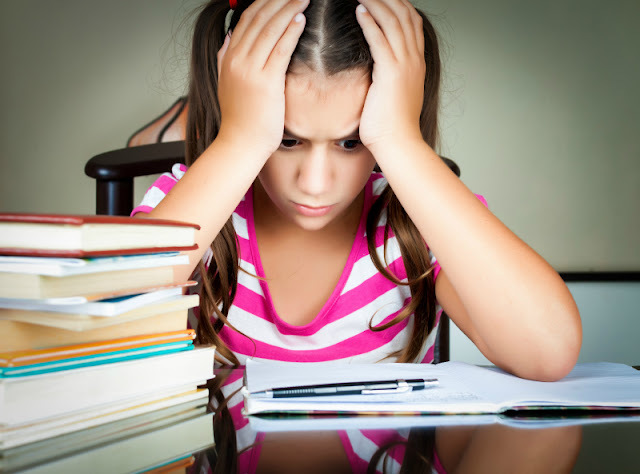 Does Your School Neighborhood Matter?